While researching maps for California State Route 183 I noticed something interesting on the 1935 County Highway maps for San Benito and Monterey County. 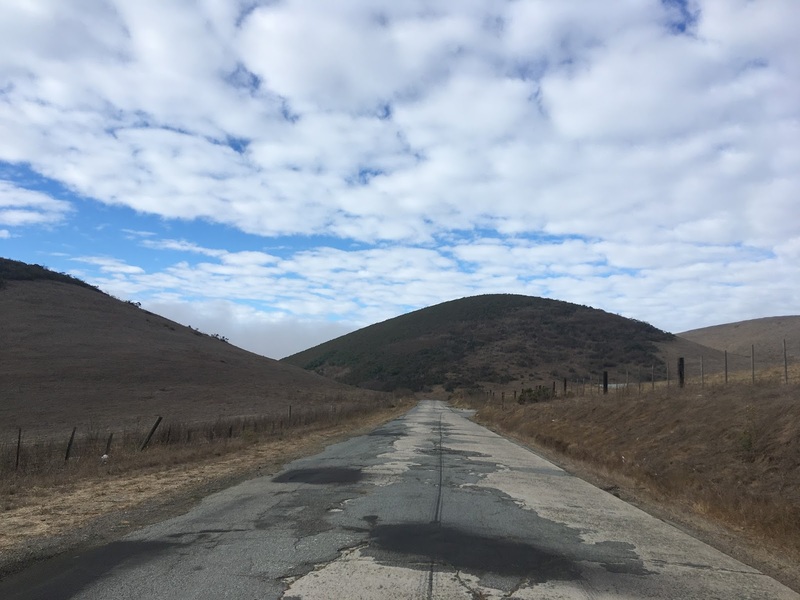 From what it appeared it seems that there used to be a state highway running from US 101 south on San Juan Highway, through San Juan Bautista, south over the San Juan Grade to Salinas. It turns out what I discovered was an a very old alignment of US 101 which was replaced by 1932. - The San Juan Grade was built in 1915 which presumably replaced Old Stage Road from Salinas to San Juan Bautista. Presumably this was part of alignment adopted as Legislative Route 2 from San Francisco south to San Diego in 1909. This history can be seen on 1931 edition of the California Highways and Public Works Journal and on CAhighways.org. - By 1926 the San Juan Grade became part of US 101. The San Juan Grade alignment can be seen clearly on the 1930 State Highway Map. - The San Juan Grade was replaced by 1932 with the modern alignment of US 101 to the west at a lower elevation through the Gabilan Range which can be seen on the State Highway Map from said year. - The San Juan Grade remained a unsigned state highway at least until 1936 when it appears to have been relinquished. The state maintained roadways on the San Juan Grade are apparent on the 1935 San Benito and Monterey County maps while it no longer present on the 1936 State Highway Map. So with that all in mind I was in perfect position just having clinched CA 25 to attempt the San Juan Grade since it was directly on my path to Monterey. I got off US 101 at the CA 129 exit and turned east onto San Juan Highway. Really there isn't much to San Juan Highway, it is a very well maintained roadway which travels the farmlands north of San Juan Bautista. Entering San Juan Bautista US 101 would have utilized 1st Street, Monterey Street, 3rd Street, and The Alameda through the city. San Juan Bautista has been around since the late 1790s and was founded around the mission bearing the same name on the El Camino Real. US 101 would have continued south of modern CA 156 along The Alameda which is now the north terminus of County Route G1. G1 quickly branches off of The Alameda onto San Juan Canyon Road which climbs up to Fremont Peak. The Alameda branches off onto Old Stage Road and San Juan Grade Road; US 101 used the latter. It quickly becomes apparent that the asphalt on the San Benito County side of the San Juan Grade is just a patch job for very ancient concrete. The road deck feels suspiciously like the Old Ridge Route which was US 99, I would speculate that it is likely original concrete to US 101. Although the San Juan Grade is initially straight it quickly becomes curvy. The actual grade of the San Juan Grade is pretty shallow but very mountainous. There are plenty of sharp curves but nowhere was it really apparent that two vehicles couldn't pass each other at slow speed. Near the county line the San Juan Grade peaks out at about 1,050 feet above sea level. The modern US 101 routing to the west peaks out at about 550 feet above sea level. The Monterey County Line isn't marked but it is very apparent when the San Juan Grade becomes fully asphalted. The Monterey side of San Juan Grade is also curvy but the new surface blunts the ominous vibe the San Benito side has. The San Juan Grade eventually straightens out and heads towards Main Street in Salinas. I didn't find anything really meriting a picture past Crazy Horse Canyon Road. I find it weird that such a historic highway segment virtually is unknown much less doesn't have signage indicating it was once part of one of the greatest US Routes that ever existed. I love to see original pavement, especially concrete! I get you totally on the ominous feel you can get on a remote patched-up concrete road. Fresh asphalt means civilization. Really that was a pretty cool find that I honestly didn't know was there until this past week. I noticed the older alignment a couple months back on the 1935 San Benito County map but didn't realize that it was the original US 101 on the San Juan Grade. Either way it kind of makes me wonder if the Ridge Route really could be salvaged as a passable route if the slides were cleared off it. That concrete was in great shape for as old as it really is, totally bumpy, but totally passable still. Back in the early 1970s, several of us had to take a make-up class for driver's ed after school. The teacher chose me to drive to San Juan Bautista on that road. I was terrified! I still don't like to drive it.